A strategy to increase soil C under pasture-based systems is to increase the root mass inputs or increase rooting depth of plants. Our objective in this study was to measure the seasonal dynamics of root mass and C inputs under two different pasture types (ryegrass-clover vs moderately diverse) that differ in plant diversity and which are commonly used in New Zealand agriculture. This study was carried out on an existing plant diversity field trial containing six replicate paddocks of both moderately-diverse and ryegrass-clover pastures. Soil cores (0-100-200-300 mm sections) were collected seasonally across 1 year and individual root traits assessed from all species. 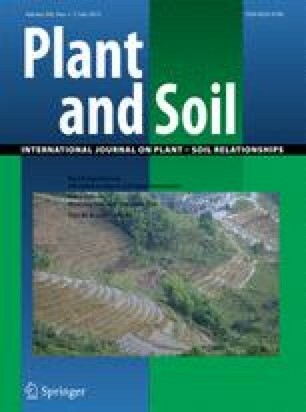 The moderately diverse pasture had greater root mass (5320–9350 kg ha−1) than the ryegrass-clover pasture (3810–5700 kg ha−1) for all seasons and had greater root mass lower in the soil profile. A secondary objective demostrated no significant difference in root mass between high and low sugar ryegrass cultivar. Increased root mass results in an estimated increase of C input to the soil of about 1203 kg C ha−1 (0–300 mm depth) under the moderately diverse pasture, excluding root exudates. Root trait measurements demonstrated a greater diversity of root traits in the moderately diverse sward compared to the ryegrass-clover pasture. Moderately diverse pasture systems offer scope to increase soil C under grazed pastures through increased root mass inputs and rooting depth. We would like to acknowledge funding received from the New Zealand Agricultural Greenhouse Gas Research Centre, DairyNZ, and the University of Waikato Doctoral Scholarship. We would also like to acknowledge the various people who have helped with this study through field and laboratory work and to DairyNZ and Scott Farm for being helpful and accommodating throughout this work.